It is thanks to Margie Jürgens who died in August 2003 that the estate of Curd Jürgens came into the conservational care of the Deutsches Filmmuseum and could be presented is two large exhibitions which ran from the 7 June to 10 September 2000 in the German Film Museum in Frankfurt and subsequently at the Austrian Museum of Theatre between 18 May and 22 September 2000. The decision of the widow not to burn the thousands of written and printed pages in an empty swimming pool of the estate in the southern French town of Saint-Paul-de-Vence as Curd Jürgens had originally wished has made it possible to make these documents accessible to the interested public. The lawyer, Mr. Gunter Fette, was instrumental in ensuring the files came to Frankfurt. We are grateful to him for this and he has advanced the project with his judicial skills and friendly advice. The exhibition accompanied the catalogue “Curd Jürgens” (Kinematograph 14, 2000/2007), the text for which – newly edited – forms the basis for the themes of this virtual exhibition of the bequest. The contributions from film scholars and film journalists analyse and reflect upon the film and theatre actor Curd Jürgens, his screen and media persona. These academic contributions are supplemented with personal memories from friends, business partners, and colleagues who describe the person Curd Jürgens. We are most grateful to them. The implementation of a project of this scale would not have been possible were it not for the active support of colleagues at the German Film Institute. Leading the way were the many assistants at the Collection and Bequests Archive of the German Film Institute who have newly digitalised the personal collections of Curd Jürgens for this publication: Mario Ahlheim, Pirmin Balk, Sina Brückner, Joëlle Kost, Leonie Lindstedt, Bastian Michel, Kira Rutsch, Daniel Siegel, and Sabrina Theobald. Jürgen Kindlmann and his team for the web design and programming, Phillip Harder and Christian Heß. Thanks to Martin Stieber from the poster archive of the German Film Institute for the preparation and provision of the posters. Thanks to Eleonore Emsbach for the original indexing of the material in 1998. 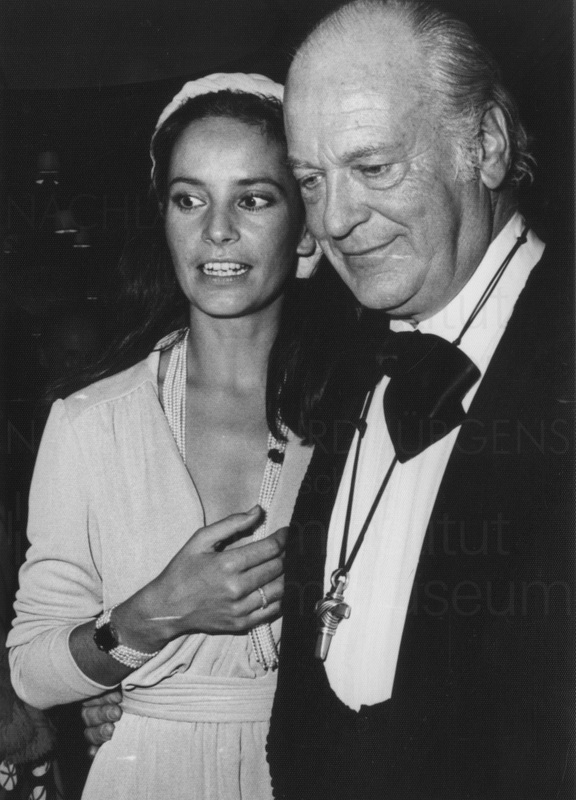 Miriam Duncan, the daughter of Margie Jürgens, has supported the new edition of the exhibition catalogue, and virtual exhibition of the estate of Curd Jürgens would not have been possible without her. We are most grateful for her support!